More than the wife of the author of the Narnia novels, Joy Davidman is fascinating woman whose mind shone just as bright. 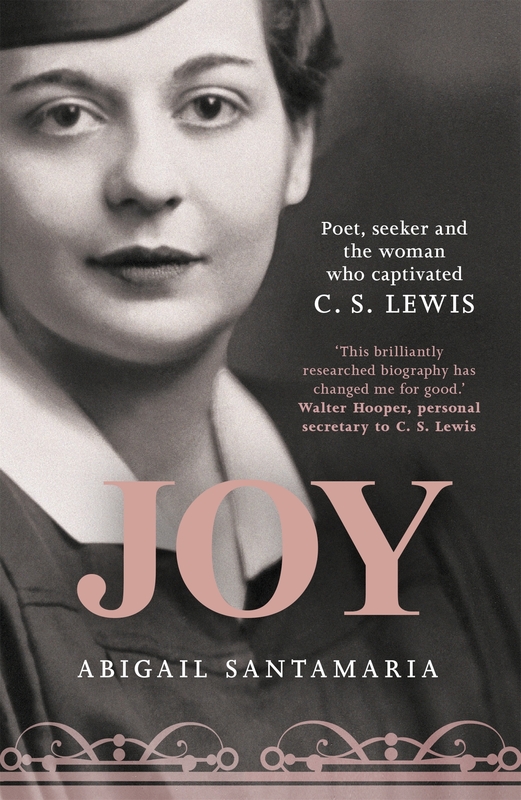 Joy Davidman is known, if she is known at all, as the wife of C. S. Lewis. Their marriage was immortalised in the film Shadowlands and Lewis's memoir, A Grief Observed. Now, through extraordinary new documents as well as years of research and interviews, Abigail Santamaria brings Joy Davidman Gresham Lewis to the page in the fullness and depth she deserves. A poet and radical, Davidman was a frequent contributor to the communist vehicle New Masses and an active member of New York literary circles in the 1930s and 40s. After growing up Jewish in the Bronx, she was an atheist, then a practitioner of Dianetics; she converted to Christianity after experiencing a moment of transcendent grace. A mother, a novelist, a vibrant and difficult and intelligent woman, she set off for England in 1952, determined to captivate the man whose work had changed her life. Davidman became the intellectual and spiritual partner Lewis never expected but cherished. She helped him refine his autobiography, Surprised by Joy, and to write his novel Till We Have Faces. Their relationship-begun when Joy wrote to Lewis as a religious guide-grew from a dialogue about faith, writing, and poetry into a deep friendship and a timeless love story. Joy by Abigail Santamaria was published by SPCK Publishing in June 2016 and is our 35292nd best seller. The ISBN for Joy is 9780281074297.